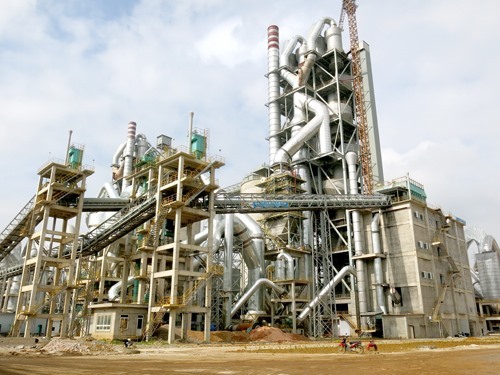 HÀ NỘI — The Prime Minister on Monday issued guidelines on investment for the expansion of Long Sơn cement plant in the central province of Thanh Hóa. Specifically, the Prime Minister agreed to add the second phase of the Long Sơn cement plant with two production lines (lines 3 and 4). Each line will have a capacity of 2.3 million tonnes of cement per year, combining waste treatment to protect the environment and creating high quality cement products and sulphate-resistant cement, serving construction of coastal and island projects in accordance with Việt Nam’s cement development plan for 2011-2020. Line 3 is expected to begin operation in 2020 and line 4 in 2021. The Ministry of Construction will integrate the second phase of Long Sơn cement plant into the planning on exploration, exploitation, processing and use of various kinds of minerals for building materials up to 2030.